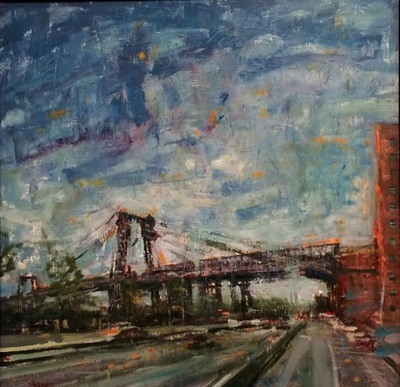 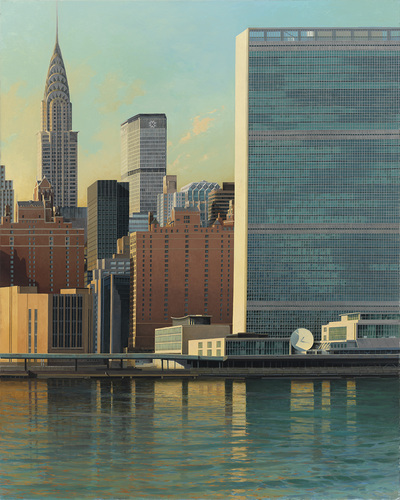 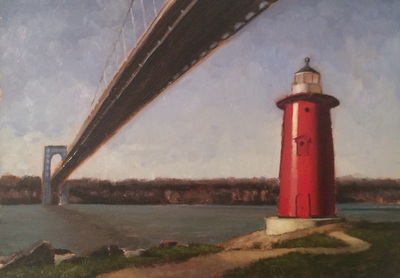 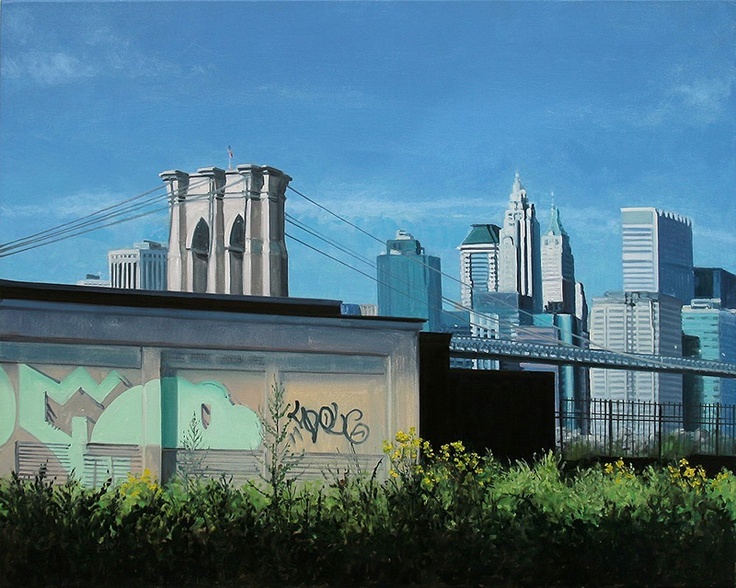 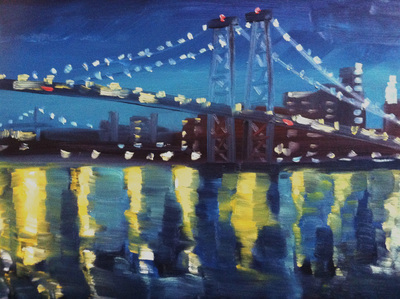 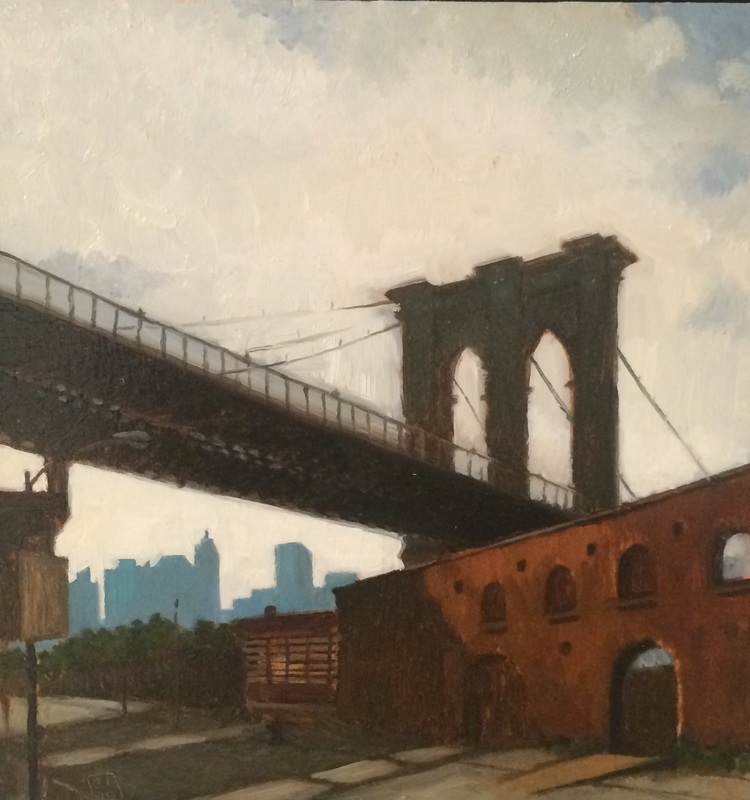 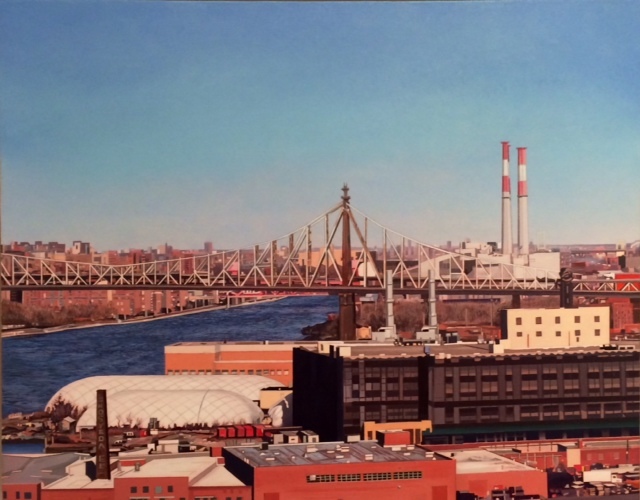 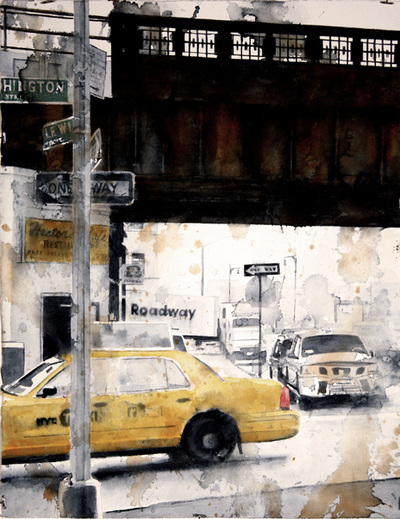 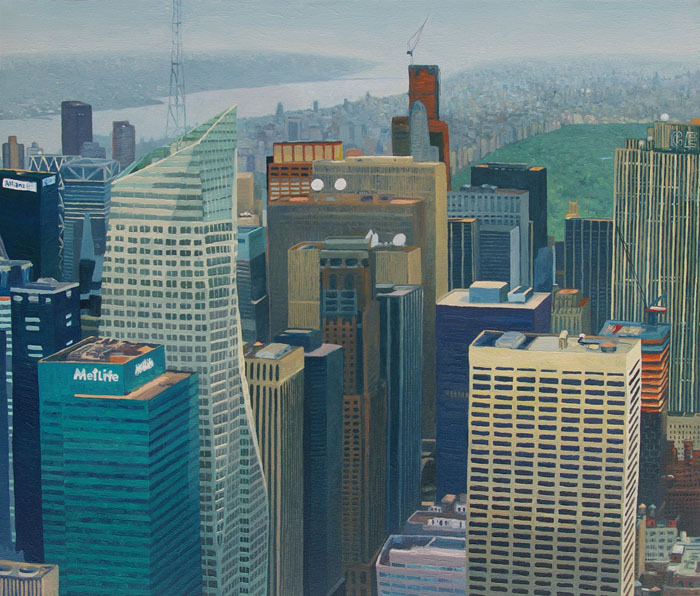 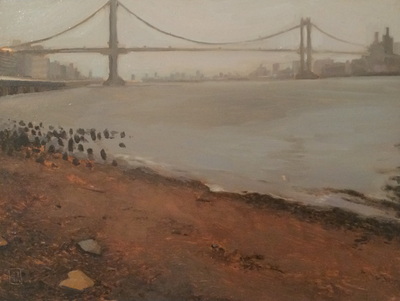 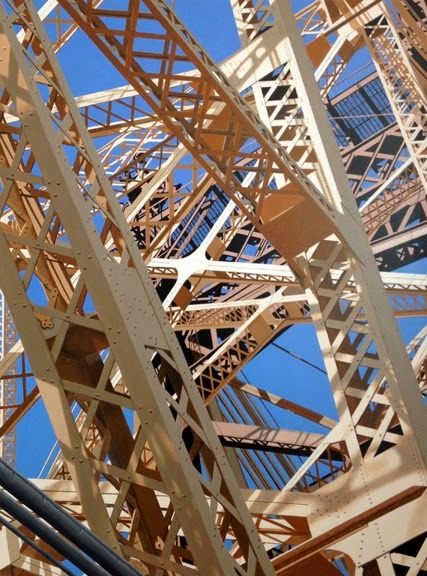 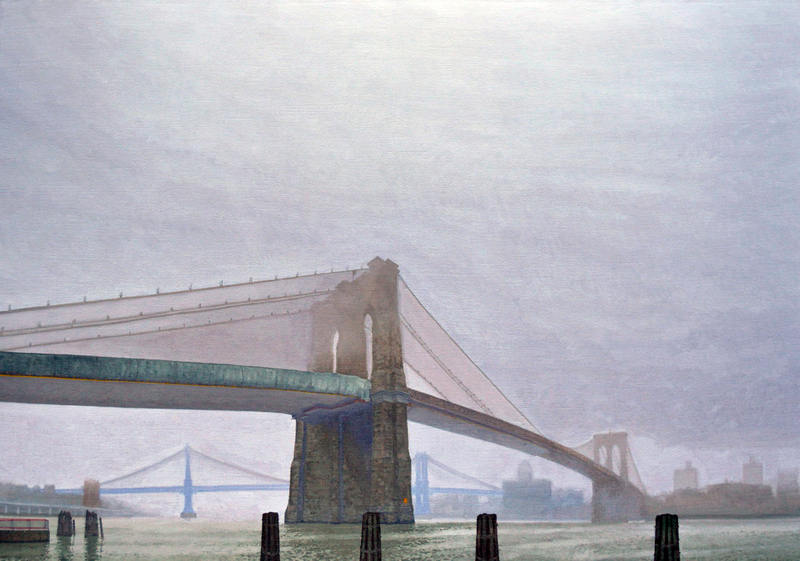 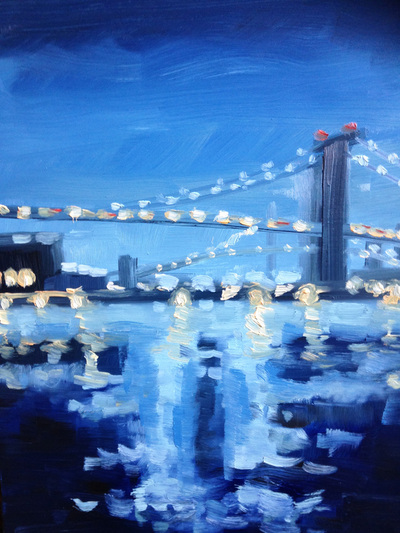 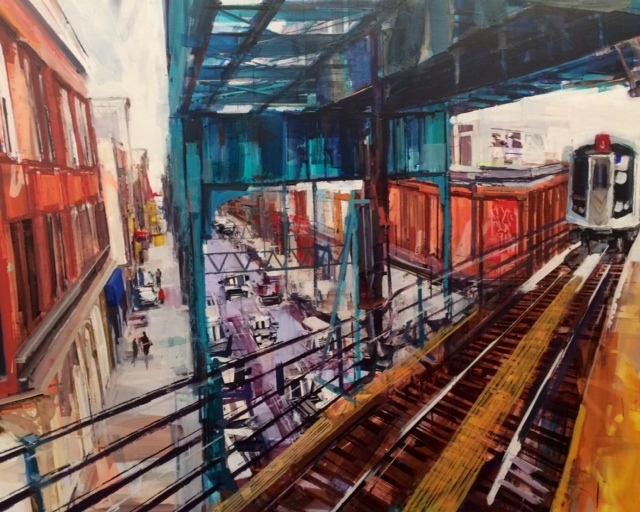 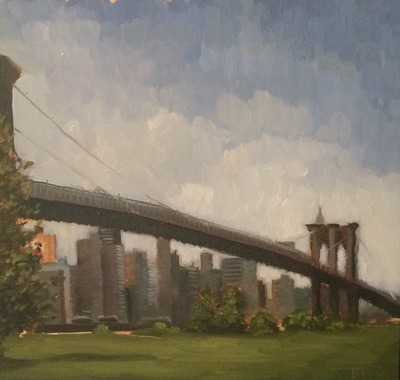 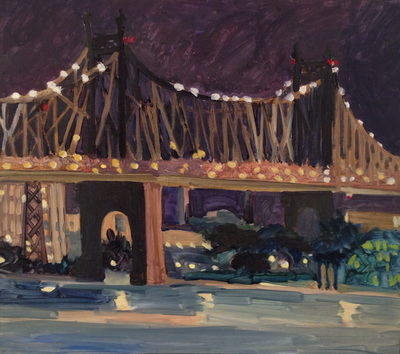 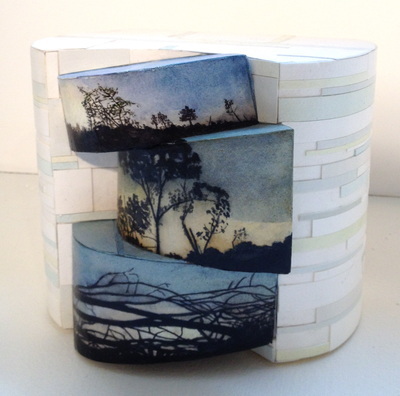 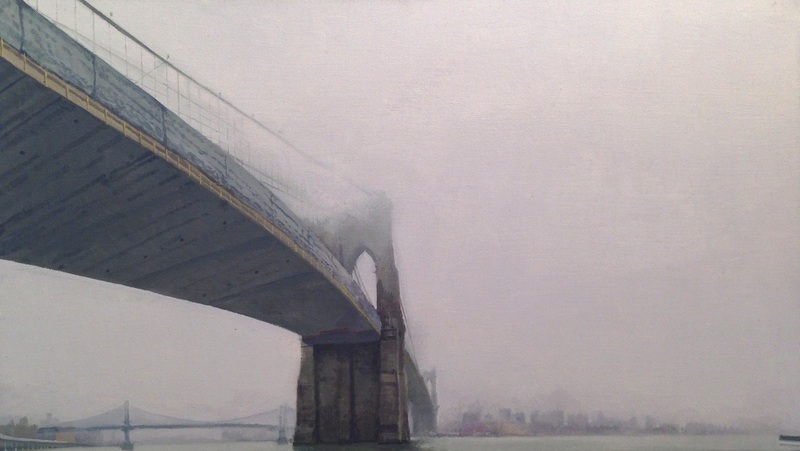 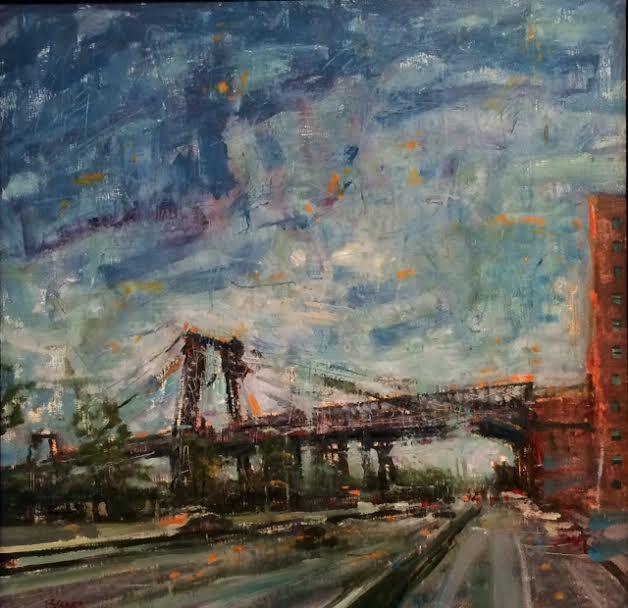 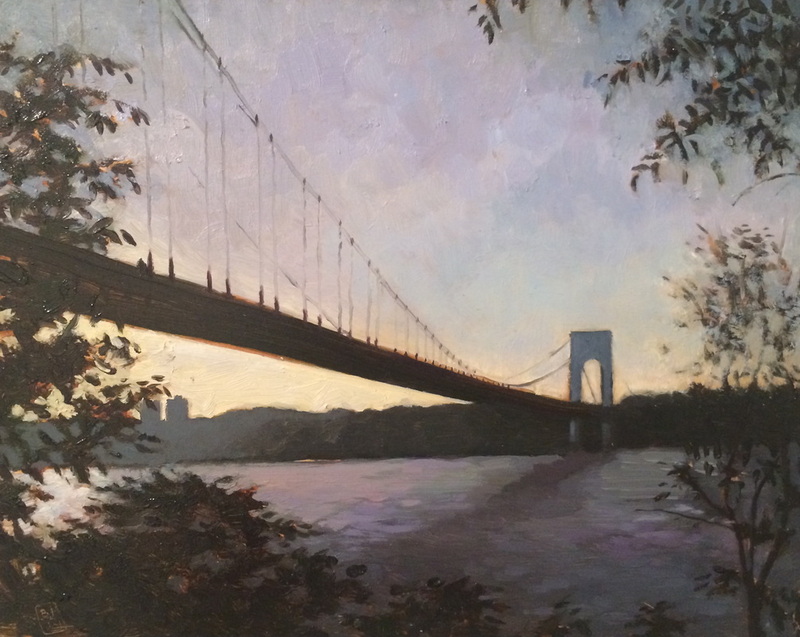 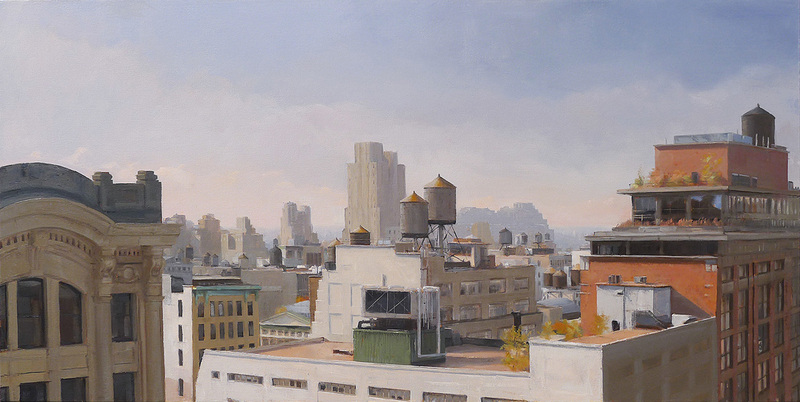 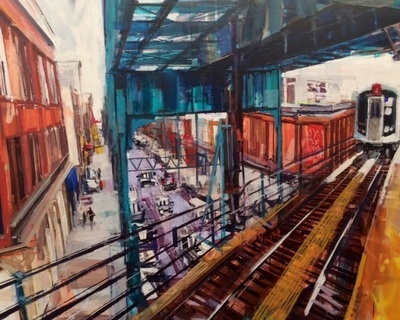 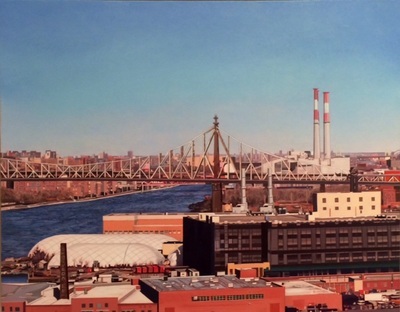 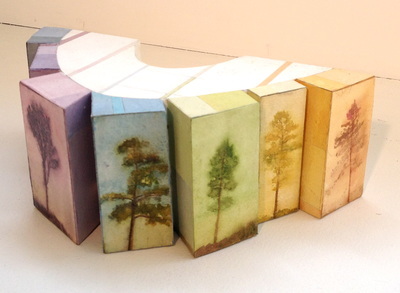 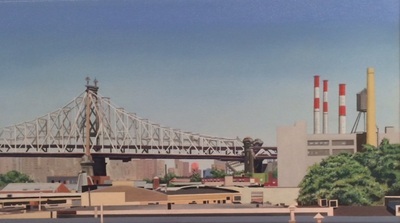 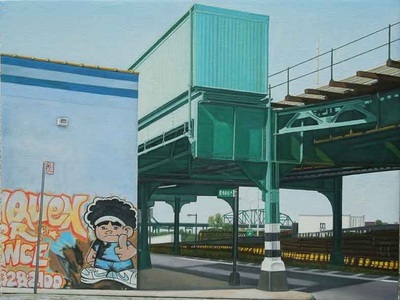 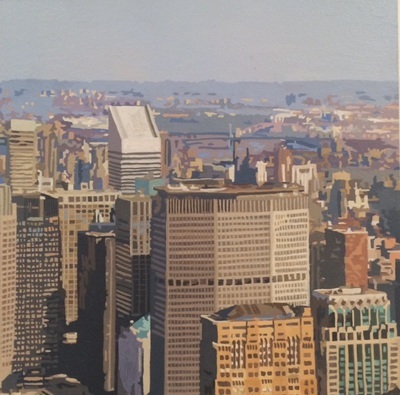 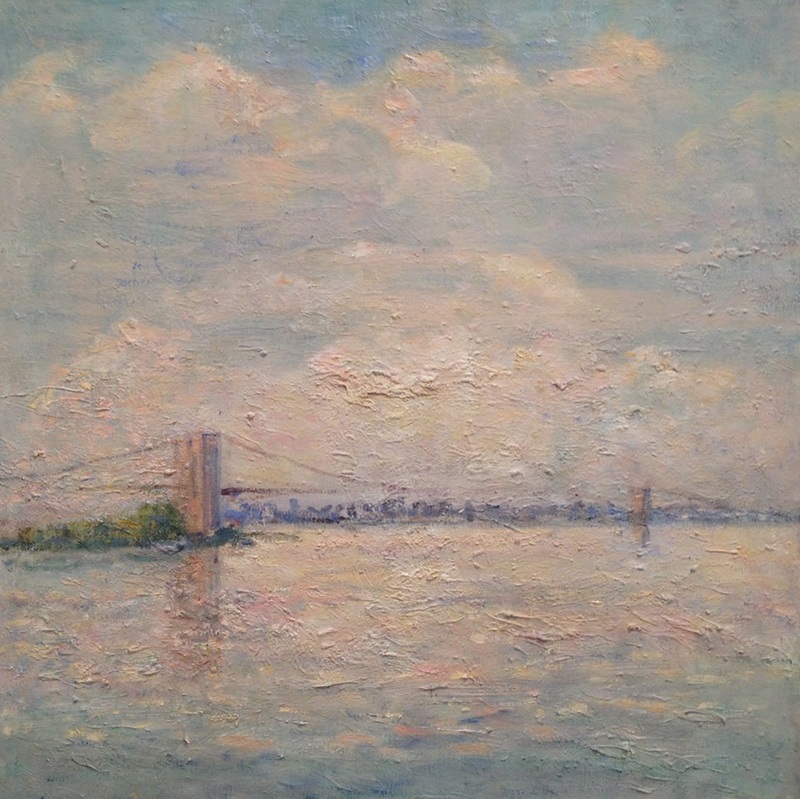 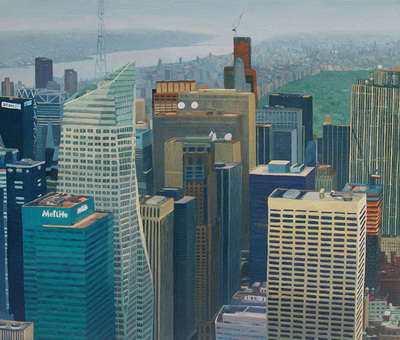 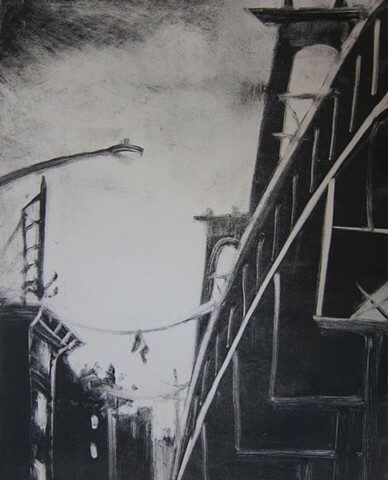 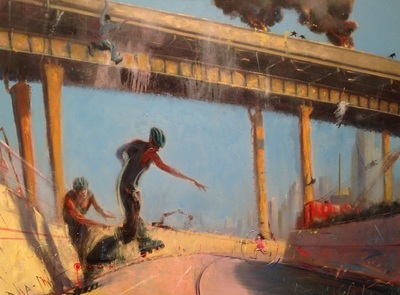 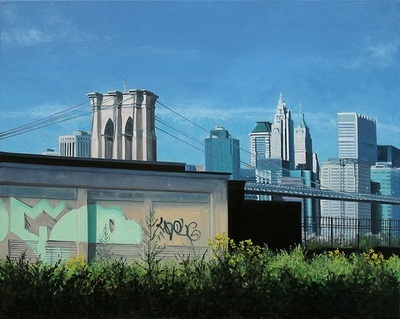 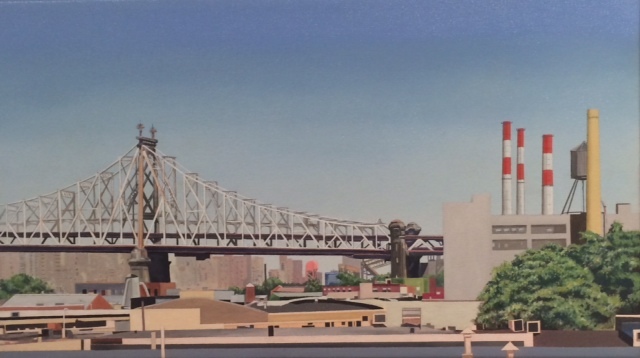 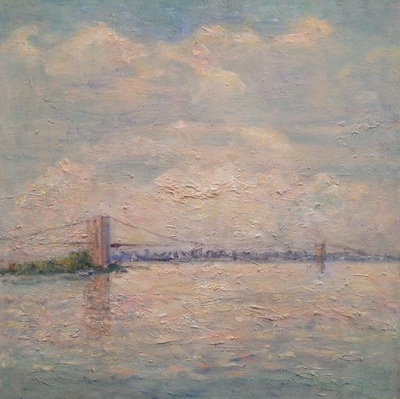 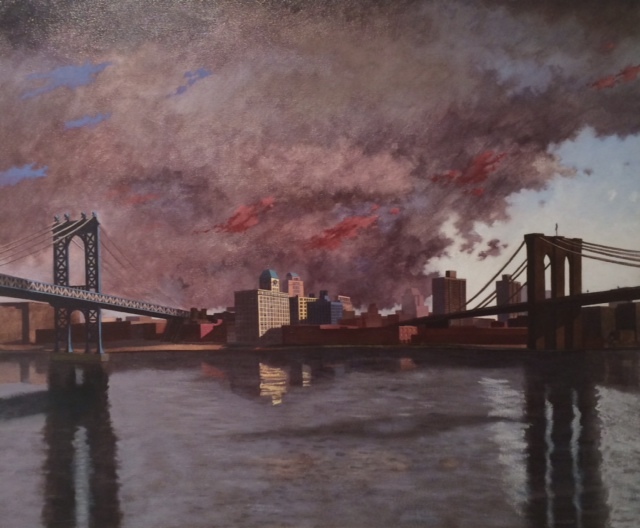 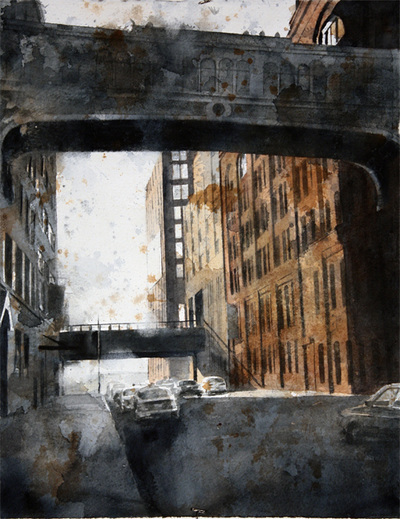 Between The Boroughs will exhibit the work of 25 selected artists at the George Billis Gallery, 525 West 26th Street between 10th and 11th avenues, from June 24th –July 19th, 2014. An opening reception will be held at the gallery on Thursday, June 26th, from 6-8pm. 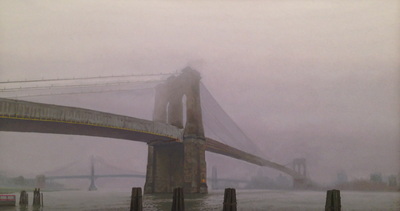 The city of New York is spread across five boroughs connected by a network of bridges. 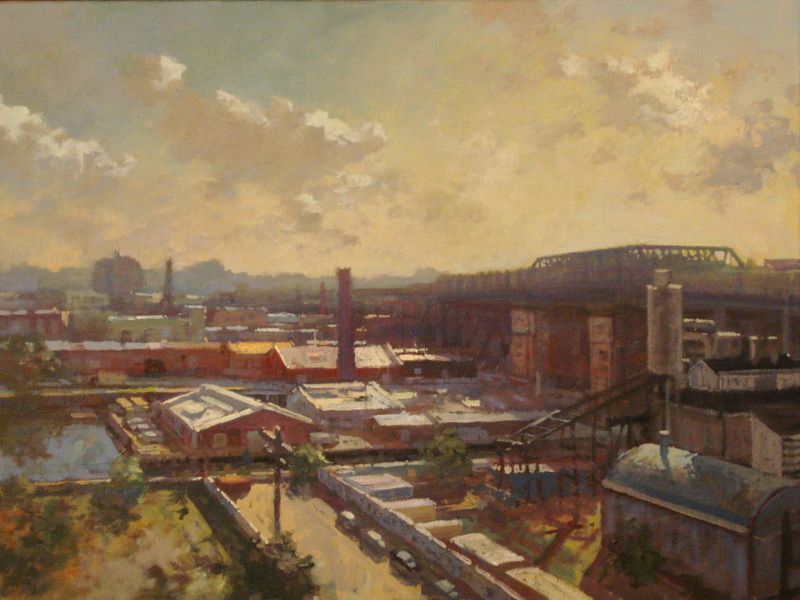 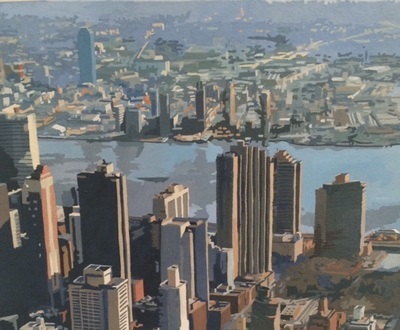 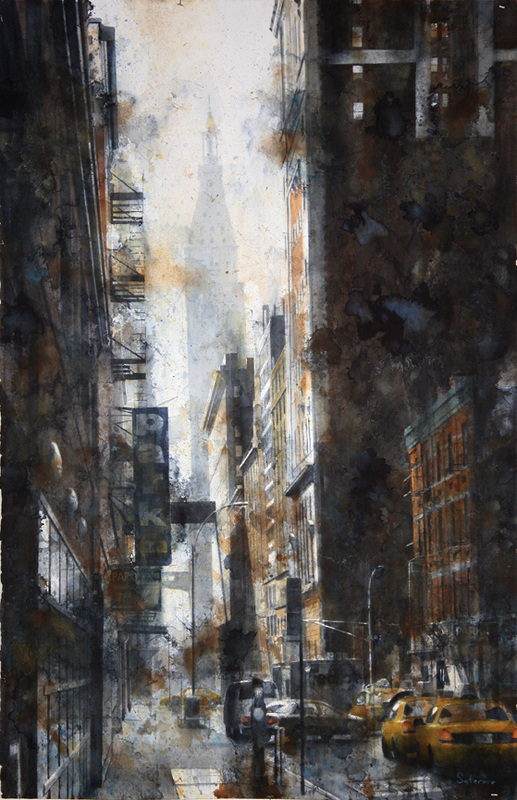 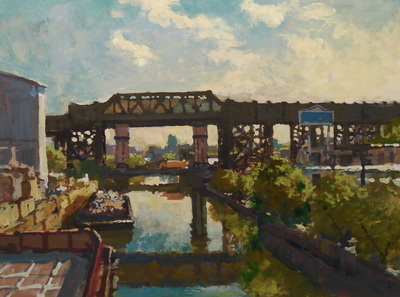 Rather than exhibiting panoramic paintings of city views, the show will exhibit work focused on this network. Between The Boroughs also takes into account the epitome of urban travel, how millions of people commute across these boroughs; our mass of highways, public transportation, and by foot.. The group show offers different perspectives on what is at the core of New York’s urban structure. 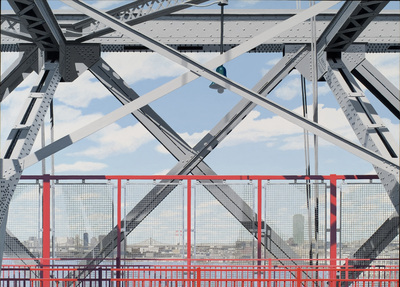 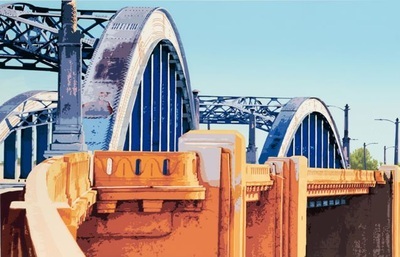 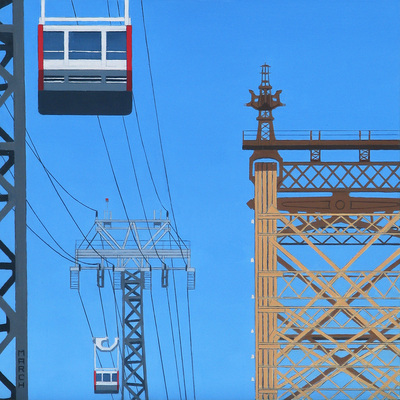 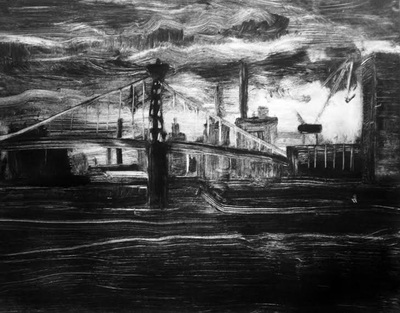 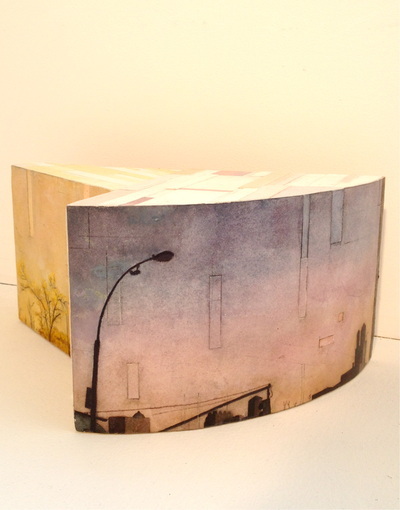 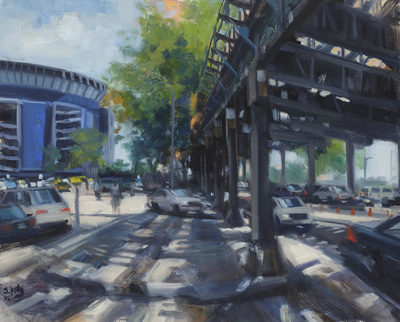 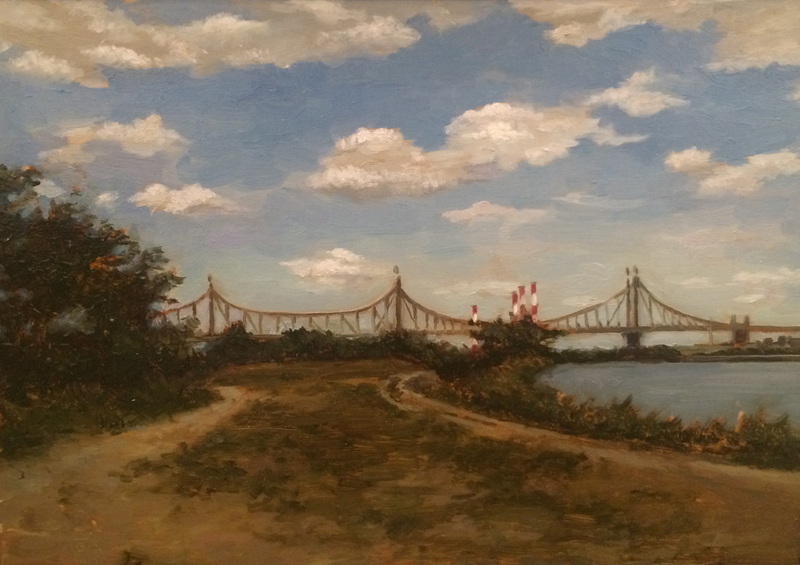 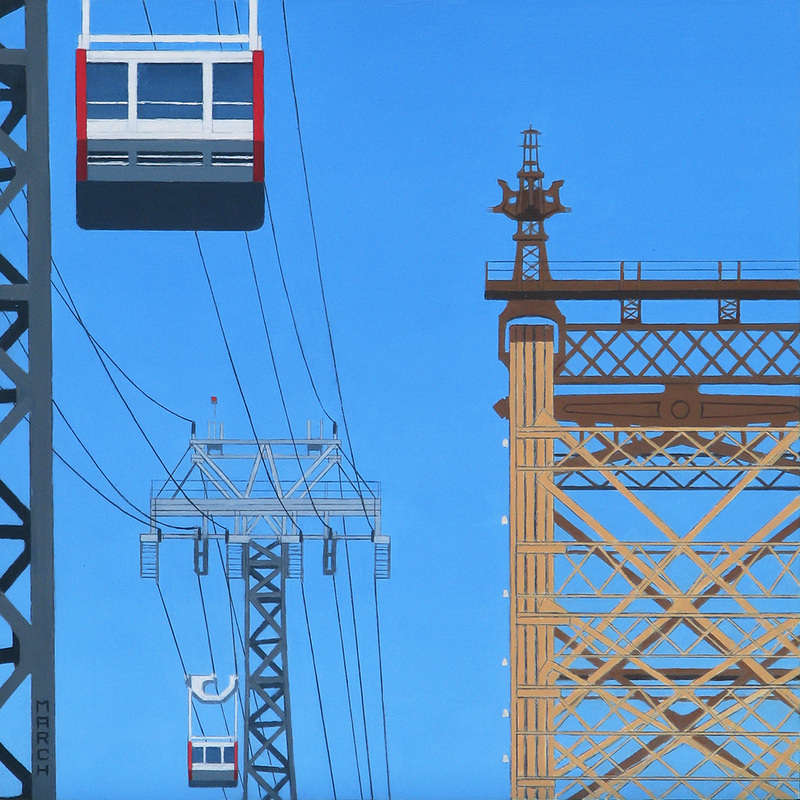 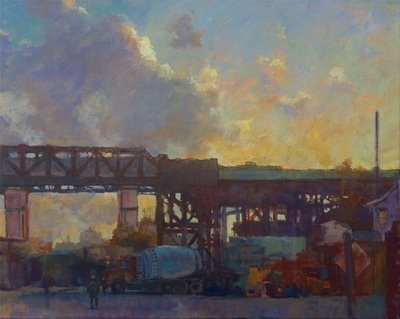 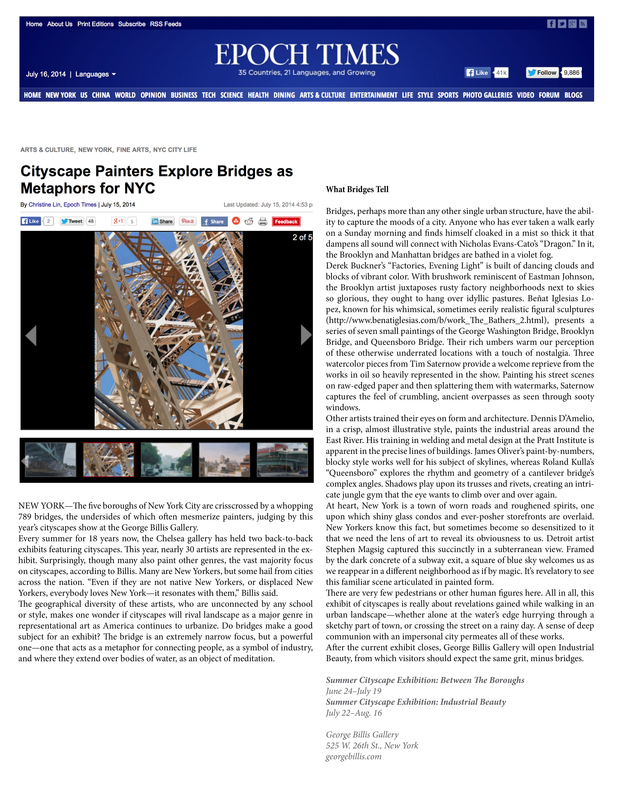 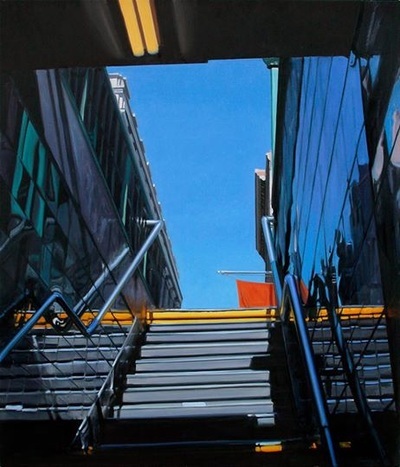 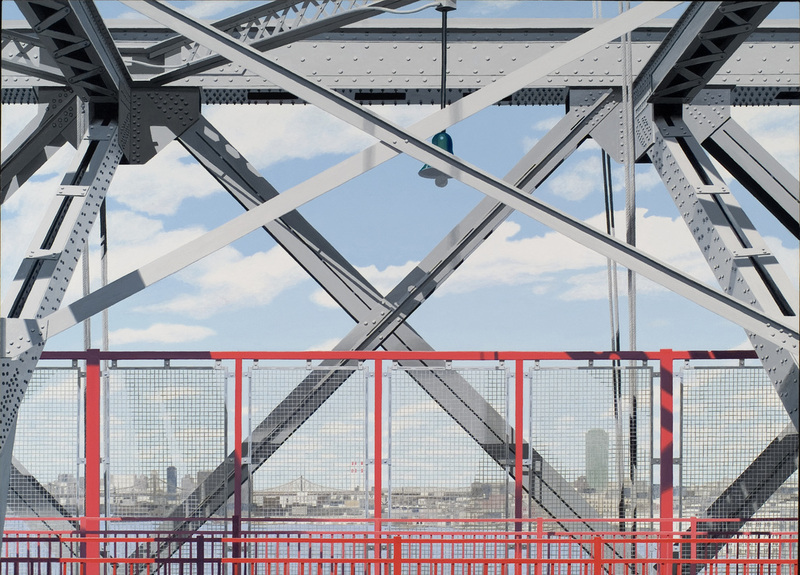 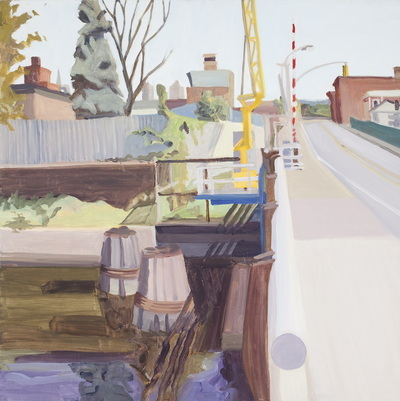 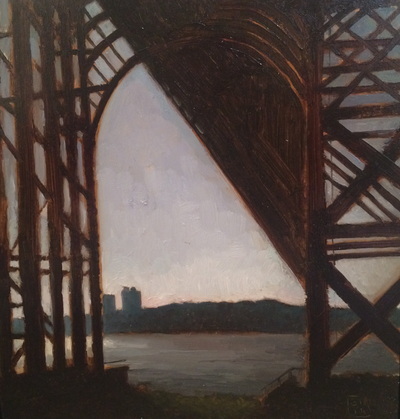 Artworks range from purely bridge focused pieces such as Bennett Vadnais’ “Ward Island Bridge,” to views from underneath subway overheads like in Todd Gordon’s “Leviathan.” Between The Boroughs features work by gallery and invited artists. 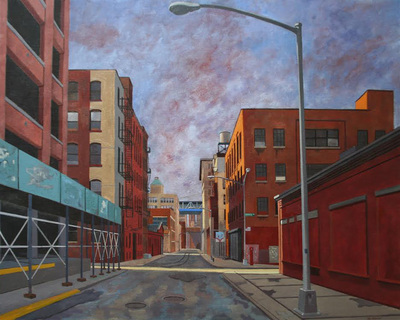 Artists include: Jim Beckner, Derek Buckner, Dennis D’Amelio, Rick Dula, Nicholas Evans-Cato, David FeBland, Sean Flood, Thomas Germano, Todd Gordon, Russ Havard, Steven Katz, Roland Kulla, David Leonard, Benat Iglesias Lopez, Stephen Magsig, Eric March, Kellyann Monaghan, James Oliver, Elizabeth O’Reilly, Richard Orient, Lucy Reitzfeld, Tim Saternow, Laura Shechter, Ben Schwab, and Bennet Vadnais. 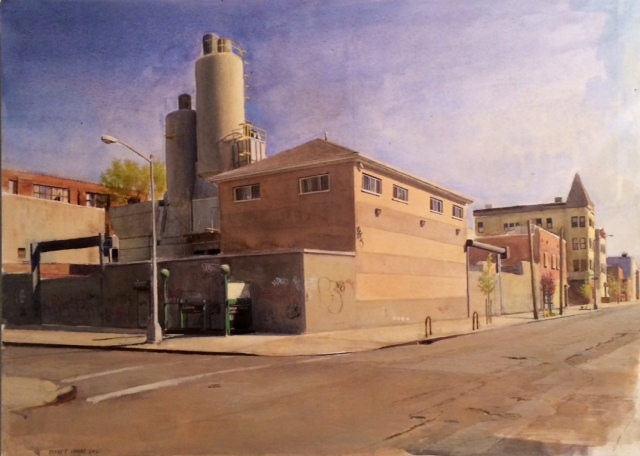 The George Billis Gallery marks it’s 18th year in the Chelsea Art District and its sister gallery is located in the gallery district of Culver City, Los Angeles. For more information, please contact the gallery via e-mail at gallery@georgebillis.com or visit our website at www.georgebillis.com.